One of the contestants in the popular burnout contest at the Street Machine Nationals. The 3rd Annual O'Reilly Street Machine Nationals took place at the Pomona Fairplex over the weekend. The show attracts 100's of muscle cars and hot rods to Pomona for a two day car show, auto cross and burnout festival. 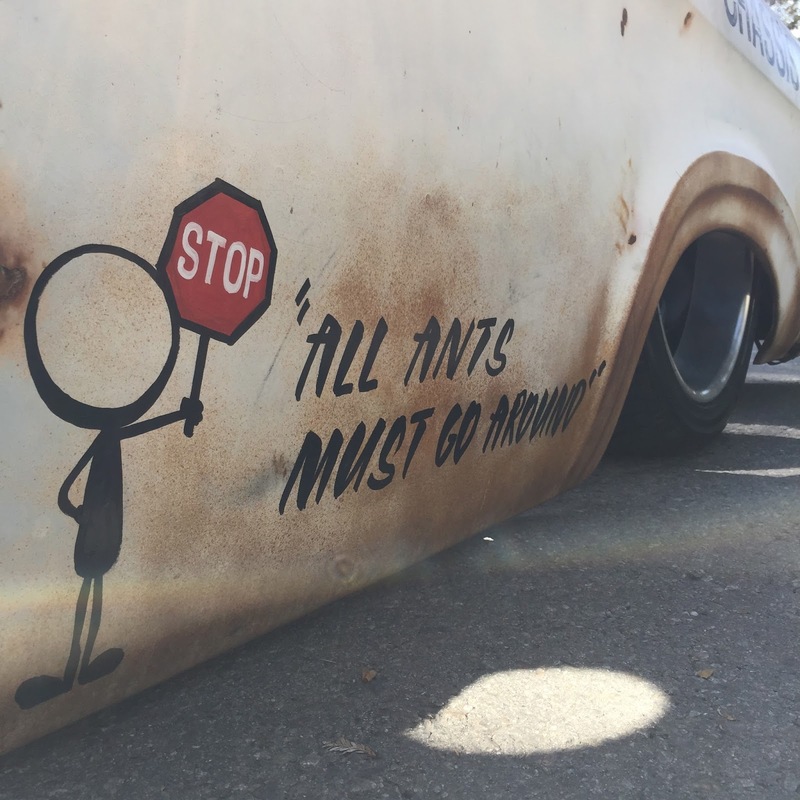 Not just a traditional show and shine, the Street Machine Nationals wants people to drive their vehicles. There is a designated cruise lane through the fairgrounds, plus an auto cross, dyno tests, stopping test and daily burnout contest. 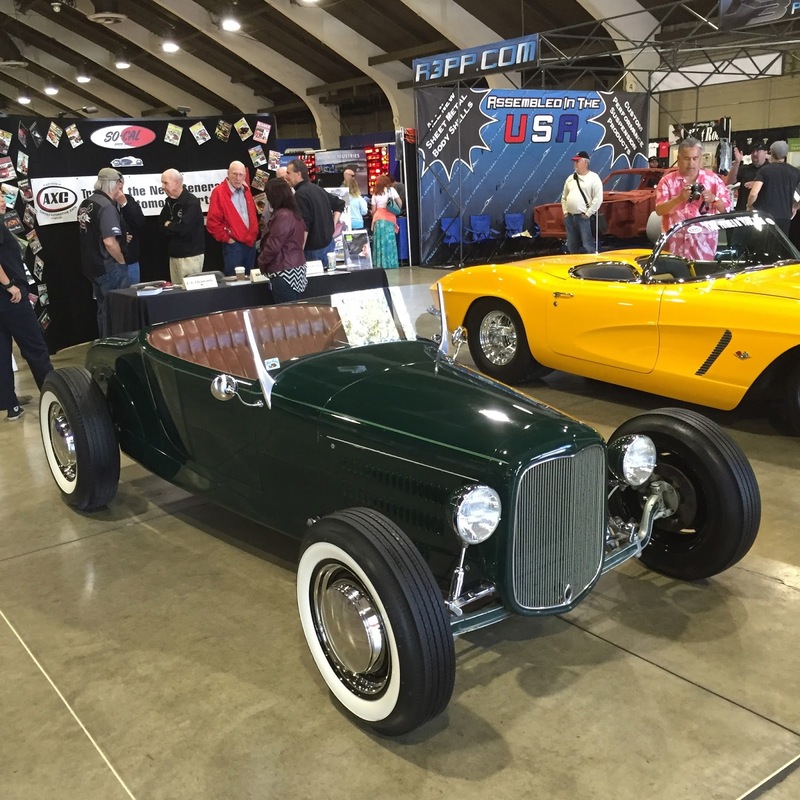 Here are some photos courtesy of California Car Cover from the car show over the weekend. 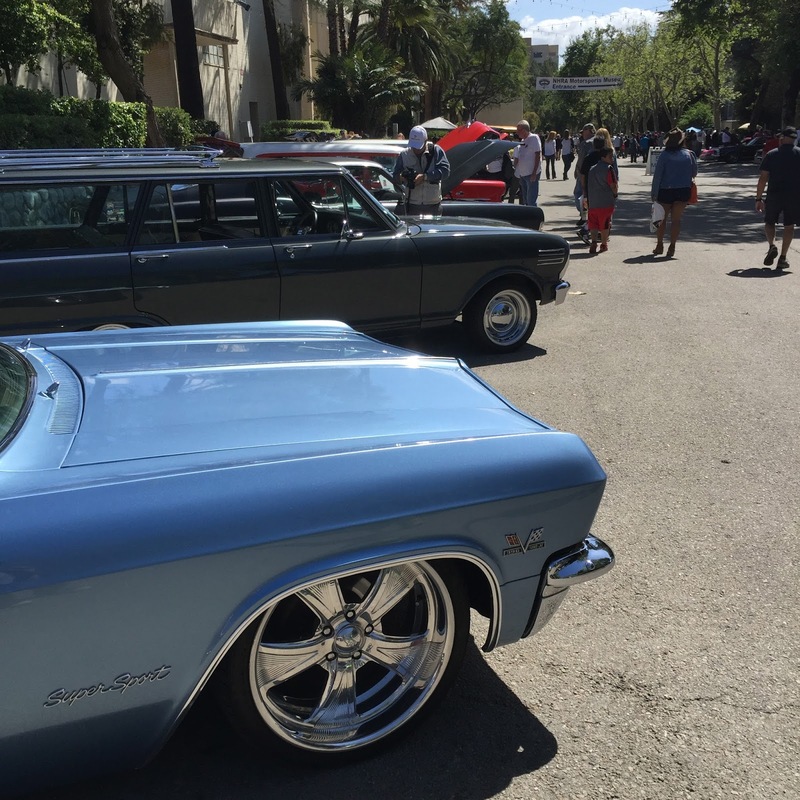 A sunny and warm weekend helped bring out the classics to the Pomona Fairplex. The Builder's Pavilion housed a number of hot rod vendors, plus a group of invited muscle car builders. Plenty of super charged engines were on display at the Street Machine Nationals. For more information on the Street Machine Nationals Series, please visit their website. To see where California Car Cover is headed next, please check out our Events Page online. 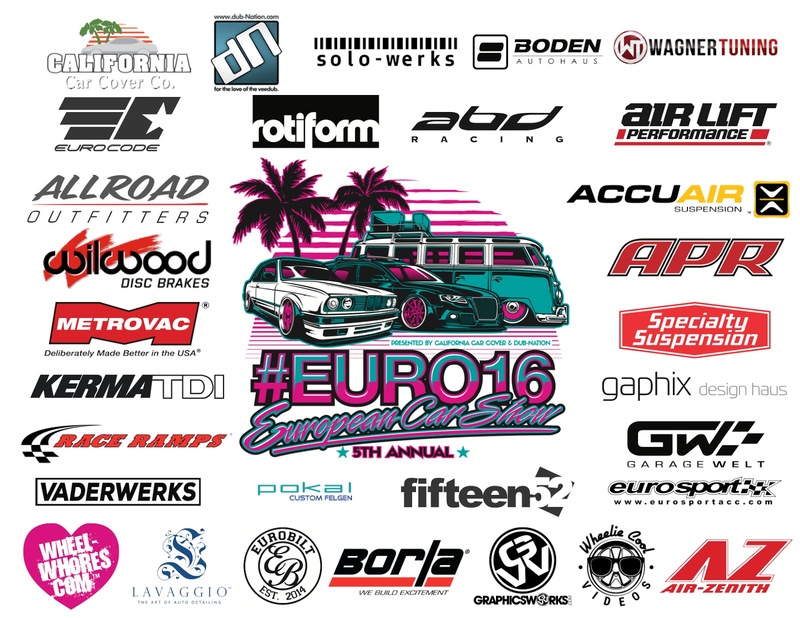 #EURO16 Annual European Car Show is Coming Soon! Our Annual European Car Show is less than two weeks away. #EURO16 as we call it, has taken on a life of its own and become one of the larger European car gatherings in the Los Angeles area. This year looks be bigger and better than 2015 thanks in part to our co-host and event coordinator, Bernie Chacon of dubNation. "We have more event sponsors and vendors than ever and we are excited that everyone wants to be part of #EURO16 again this year," said Bernie. "The event is a great day in Chatsworth and most of all it is for a good cause," added Bernie. The event is a fundraiser for Rancho San Antonio, a youth outreach facility that has been in Chatsworth since 1938. The campus provides housing and employment opportunities to young men in need of assistance and direction in their lives. The event is free to attend, but our sponsors donate amazing prizes to raffle off during the show. 100% of the raffle ticket proceeds are donated to RSA. 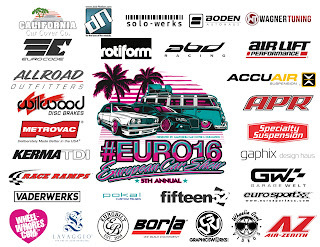 For 2016, we are fortunate to have many new sponsors on board for the 5th Annual European Car Show presented by dubNation. Many of the top brands in the automotive aftermarket, such as AccuAir, APR, fifteen52, rotiform and Borla Exhaust are just a few of the great companies that have partnered with us to raise some money for Rancho San Antonio. 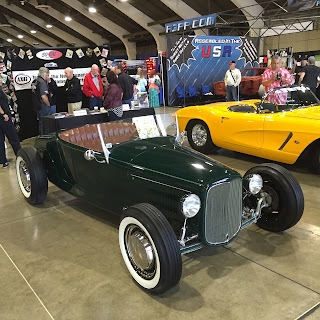 "We try to raise the bar each year to make our annual European Car Show better and better, said Tony DeFrank, California Car Cover's Executive Director. " Bernie and I work to make this laid back get-together an event that more and more enthusiasts want to attend each year. There is no shortage of car shows and activities in SoCal, so we are thrilled to see the growth the show has experienced since 2011". The 5th Annual European Car Show is Saturday, March 26th, 2016 from 9am-2pm at Rancho San Antonio in Chatsworth, Ca. Rancho San Antonio is located at: 21000 Plummer St. Chatsworth, Ca 91311. For the latest information on #EURO16, please visit the car show event page: eurocarshow.us. We post the latest news, sponsors, event details and much more there.